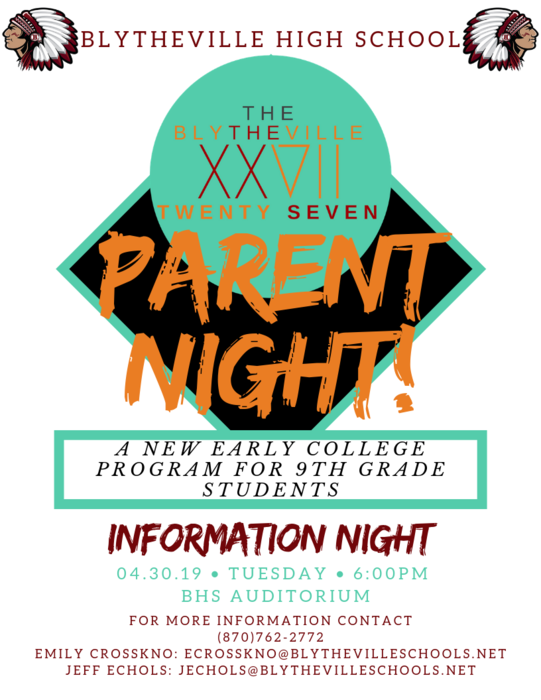 9th Grade Students and Parents: Please join us as we roll out "Blytheville 27", a new early college program for 9th graders!! 6:00 pm- Dinner for athletes and coaches only. BHS (Northside) Cafeteria. 6:45 pm- Awards Ceremony - BHS Auditorium. Parents, family, and friends are all invited and urged to attend. BHS seniors will receive their three senior walk tickets (with purchase of their prom ticket!) this week. 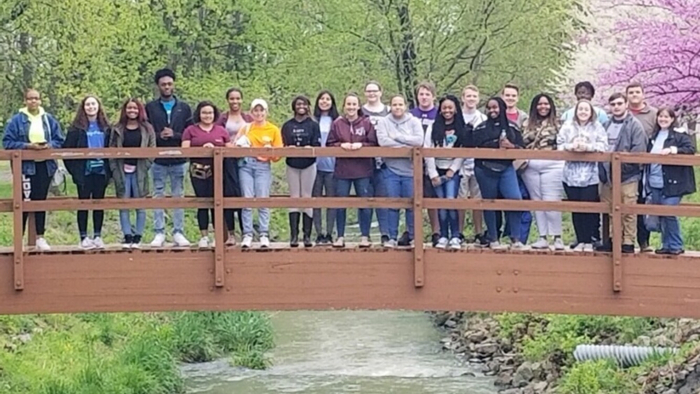 Senior walk begins at 8:00pm on Saturday April 27th at the Blytheville Primary Multipurpose Building...the last day to buy tickets is the 24th and they are now 25 dollars.